The Christmas Carols are being piped through the supermarket speakers, the mountains of cardboard promotions are carefully positioned to collapse into your trolley as you push past. And you really hope the kids are watching a series on Netflix in the hope they won’t be deluged with the latest toys ads. Yep, it’s the Holidays! But don’t worry, we’re here with some pointers on how to teach kids about money at Christmas! We’ve been thinking about ways you can use this festive time to get your family into the saving game. 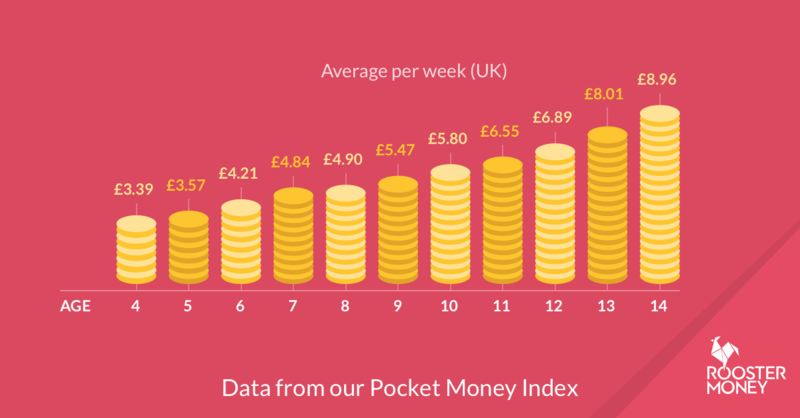 RoosterMoney is designed to help children understand the value of money through saving and spending responsibly and there’s no better time to kick the saving regime up a gear than at Christmas! 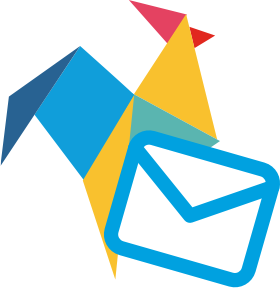 So here are some of our top tips for getting the most out of RoosterMoney and saving. Before any Christmas envelopes have even been opened, having a chat about a percentage or fraction that should be saved is a good idea. Rather than telling them they have to save all their cash, try encouraging them to split it between their spending, and saving. 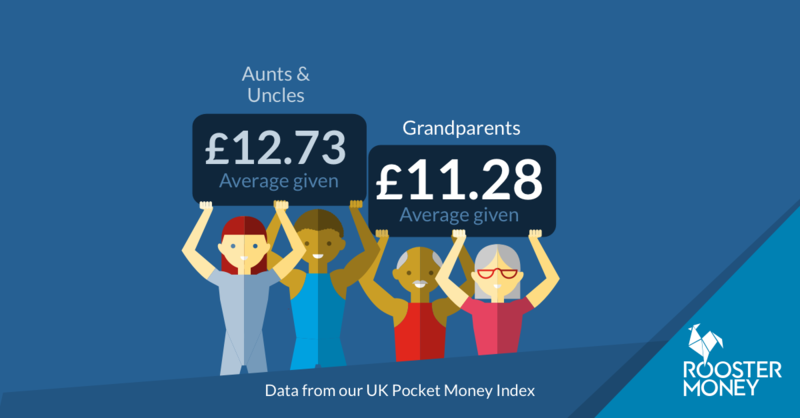 You can chat to them about why it’s important to keep part of their pocket money saved – whether for a rainy day, for a holiday, for university, or even to look after their parents when you retire! If you ask your kids what a fair amount to save is, and then negotiate from that point, they will feel a greater responsibility to putting that money aside. There is something incredibly satisfying about putting some cash into a savings account, and with some generous grandparents, Uncles and Aunts, Christmas is the time to do it. With RoosterMoney, children can choose to put their money in ‘Spend’ (for everyday use), in ‘Save’ (for long term saving), in ‘Give’ (to introduce the idea of giving back), or towards a ‘Goal’ (to save for specifics like a toy or book). If you haven’t done so already, setting up a savings account which has your child’s name on it will give them great pleasure! Particularly if you hunt out a good interest rate with them – it teaches them what deals are available and that it’s a competitive market. You can add it into a pocket money or allowance routine – encouraging kids to save a portion of their pocket money and put it into the account (this is exactly what the ‘Save’ pot is designed to do). For those in the UK, Martin Lewis, the Money Saving Expert, updates his round up of the best savings accounts for kids on a weekly basis. Click to view averages in the US or Australia. After working out how much Christmas money your kids want to save, set a target for them to reach over the next month or indeed year. That could fit with events over the year – so perhaps a family holiday or their birthday. And if you need to give your kids a boost to help them reach their goals, you can give them a few one-off jobs to earn a little extra. Some of the most popular jobs are helping out with gardening, walking the dog or some good old vacuuming! 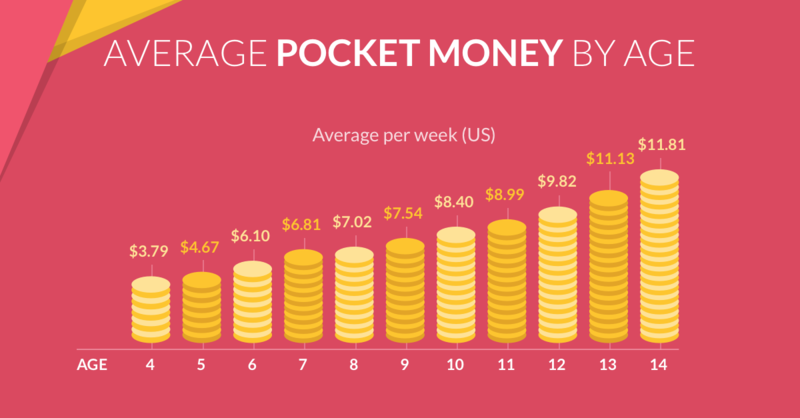 You can also get kids thinking about their finances in the longer term by setting tiered goals on RoosterMoney! This could be saving up to buy a new bike by next year, or buying that new toy over the summer holidays. With all their goals set up, help children reach them by setting up jobs they can do to earn a little extra. With RoosterPLUS, you can assign a regular job to your kids, like cleaning their room, or give them a bigger task, like washing the car. Seeing the opportunities they have to earn a bit to put towards their goals will help them stay motivated. Or if you aren’t ready for that, give our printable reward chart a go.